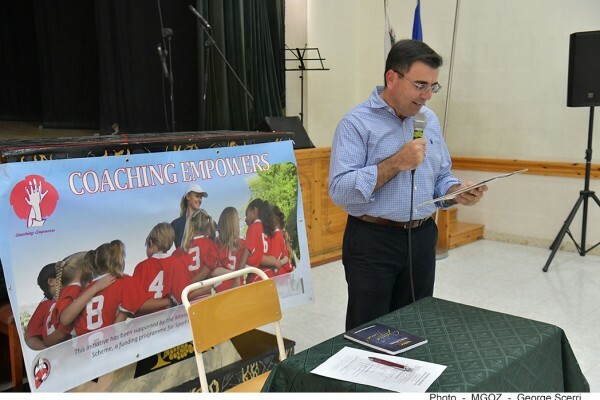 The Coaching Empowers project of the Ghajnsielem Redcoats became a reality thanks to an initiative of the Ministry for Gozo. The Sport Organisations Assistance Scheme launched by the Ministry for Gozo in November 2017 was intended to provide financial support to sports clubs and associations for projects which, with their very limited resources, sports organisations would not have otherwise been able to undertake. This was a very good initiative as it ensured that public funds were channelled into good sports related projects. 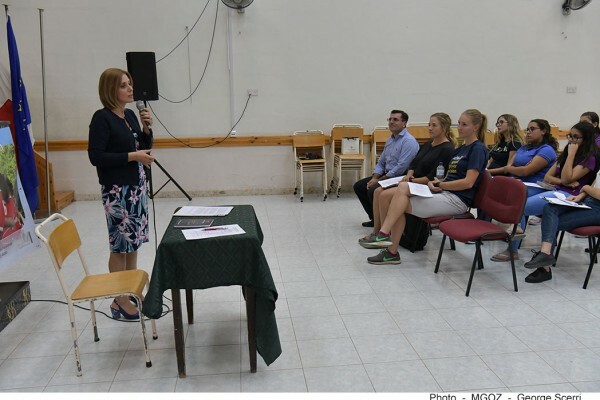 It was therefore more than fitting for the Minister for Gozo, Hon Dr Justyne Caruana, to make the opening address of the “Achieving More During Practices” coaching clinic. 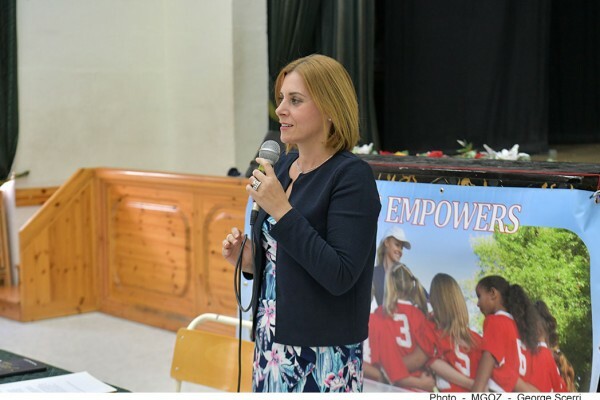 In her address, Minister Caruana, congratulated the Ghajnsielem Redcoats for the Coaching Empowers project and the objectives they set for it. 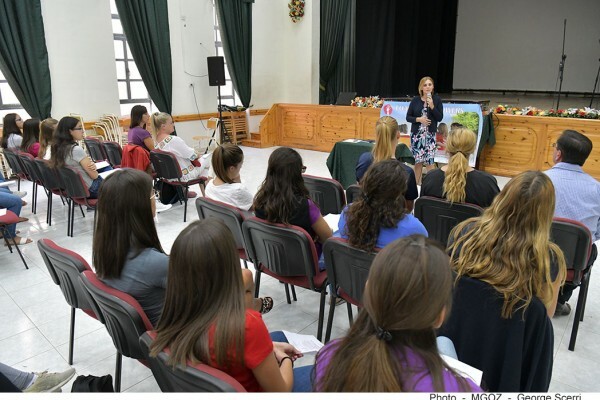 Capacity building in coaching and encouraging more females to volunteer as coaches should certainly help increase the rate of female participation in sports on the island. She went even further to state how pleased she was with the Redcoats, especially with the achievements of the youth softball team, which this summer, against all odds, won a tournament in Croatia. 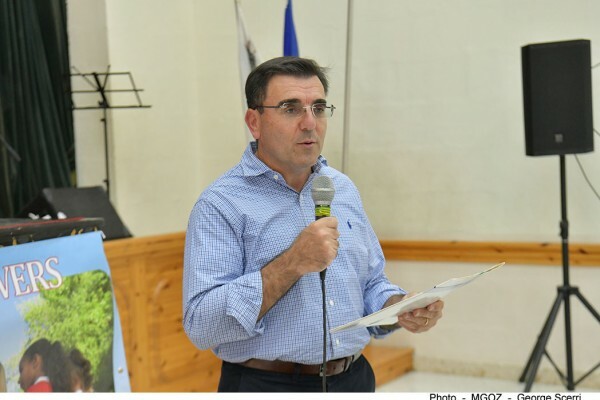 The Minister then referred to the calls of the Club for a dedicated softball facility in Gozo. She reassured the members of the Executive Committee of the Club along with the players in attendance, that she is fully aware of the situation, have seen the plans for the facilities, and will support the efforts of the Redcoats to carry the project forward. This was quite a significant statement which was very much appreciated by the audience. Minister Caruana concluded by thanking those who attended and expressed her wish that they will benefit from such an interesting seminar. 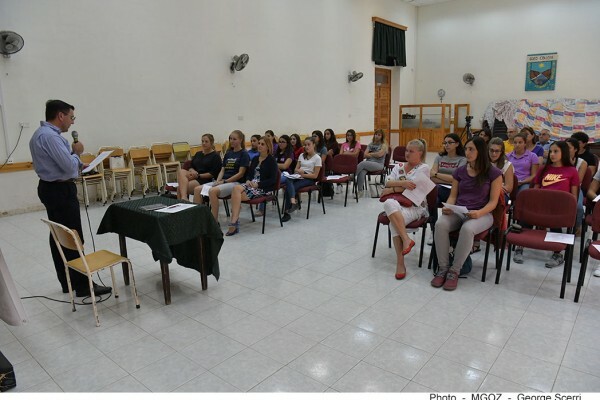 In his brief introductory statement, Club President Joseph Scicluna, reiterated the commitment of the Club towards increasing the rate of female participation in sports. This is being done by addressing various issues. 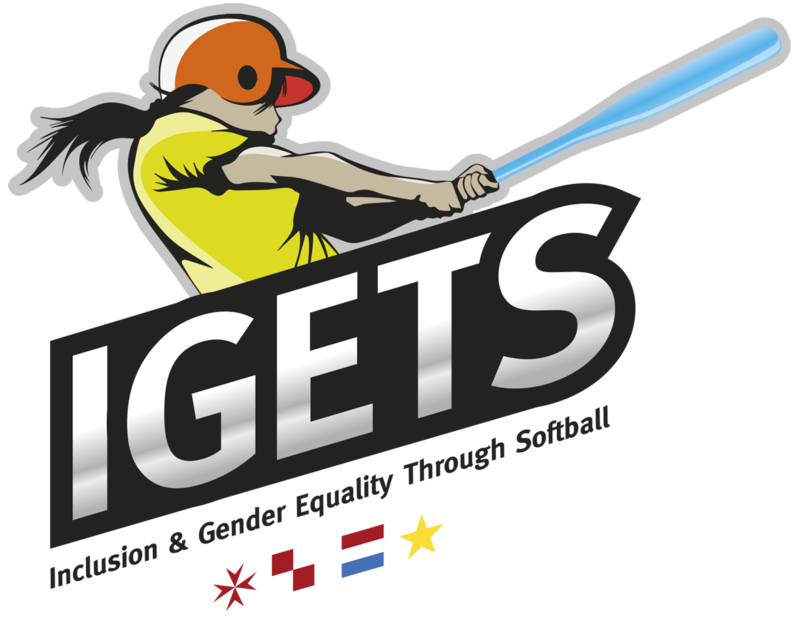 Increasing awareness with parents, and much effort went into that through the Erasmus+ Sports project, Inclusion & Gender Equality Through Softball. Giving exposure to the female athletes of the Club on social media, magazines, newspapers and most importantly on TV. Introducing multi-sport activities to reach a larger number of participants. As well as increasing the number of female coaches, and working on developing female role models through the achievements of the youth softball team. 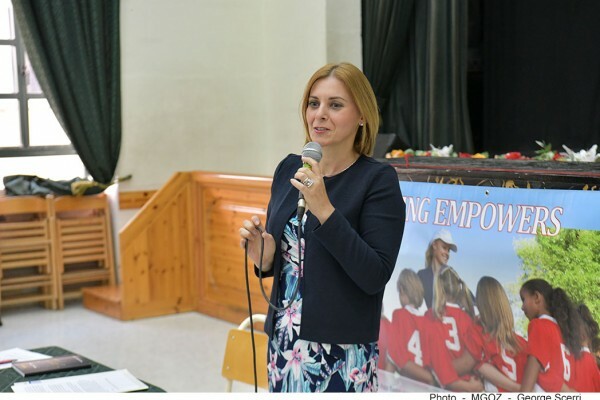 Mr Scicluna went on saying that the project Coaching Empowers was designed specifically to support the commitment of the Club towards increasing the rate of female participation in sports. “More coaches, more female coaches, and more female sports role models.” The efforts of the Ghajnsielem Redcoats to continue to develop female role models, and provide opportunities for girls to play a sport were very much tied to the availability of adequate, sport-specific, facilities. He reassured those in attendance that the Club has received support from the authorities for such facilities. He concluded by saying that should the Club manage to have facilities in the near future, they are confident in making an even bigger impact in increasing the rate of female participation in sport, and empowering more participants through softball. 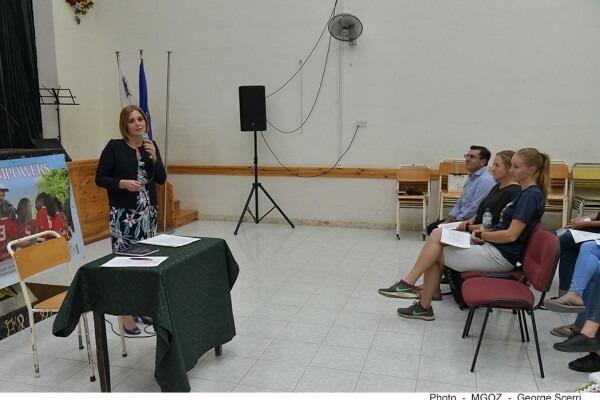 This initiative has been supported by the Ministry for Gozo Sport Organisations Assistance Scheme, a funding programme for Sport Organisations on the Island of Gozo. This publication reflects the views only of the author, and the Ministry for Gozo cannot be held responsible for the content or any use which may be made of the information contained therein.